Have your breakfast and begin your road journey for Agra. En-route, you are going to cover Sikandra- the mausoleum of Akbar, the Mughal emperor, which he himself commissioned during his reign. On your arrival in Agra, check-in to your hotel and have lunch. In the evening, you are going to visit the Taj Mahal, one of the Seven Wonders of the World. Commissioned by Mughal Emperor Shah Jehan, it was built in the memory of his beloved wife Mumtaz Mahal. Enjoy the mesmerizing beauty of Taj, during sunset. Attend a folk performance and puppet show in the evening. Stay Overnight. 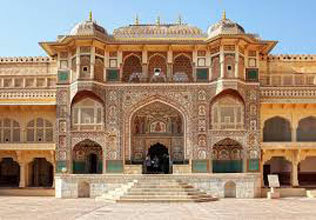 After breakfast, explore the Agra fort, also known as Red Fort, built by Mughal Emperor Akbar. Its construction started in 1565 and concluded in 1573. Afterwards, begin your road journey for Jaipur. On the way, explore the remains of Fatehpur Sikri, which was once the capital of the Mughal dynasty, one of the best examples of Mughal architecture. On your way, have lunch at Bharatpur in Laxmi Vilas Palace. 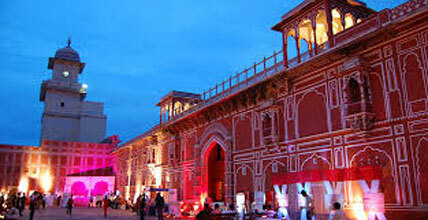 Once you arrive in Jaipur, get transferred to the hotel. If you want then you can enjoy a leisurely walk around. Enjoy dinner at Chokhi Dhani, an ethnic village resort. The evening will be fulfilled with cultural performance, camel ride and traditional food. Overnight stay. 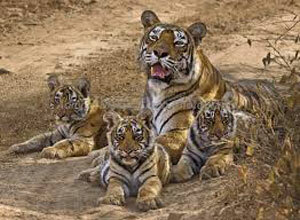 Have your breakfast and leave for visiting the Amber fort. As this fort is situated on a hilltop, you are going to enjoy an ascending elephant or jeep ride. 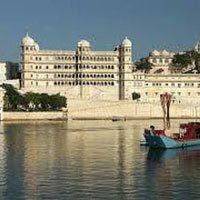 Built during the reign of Raja Man Singh I, this fort is a magnificent structure. Visit the Sheesh Mahal, Sila Devi Temple, Ganesh Pol, and Diwan-e-Khas. Post lunch, visit the other attractions like City Palace-a perfect blend of Mughal and Rajasthani architecture, Costume Museum- where you can find some extremely beautiful local dress material and handicraft like Bandhej, Kimkhambs, Zari, Gota, Jama etc. Later visit Jantar Mantar-an astronomical observatory, founded in 1716 by Sawai Jai Singh II. 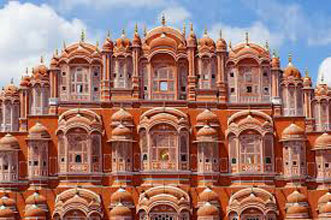 Last visit of the day is Hawa Mahal, commissioned by Maharaja Sawai Jai Singh II. The fort is popular for its beehive like structure. Gala dinner at Raj Palace. Stay Overnight. Post an early morning breakfast, get an on-time transfer to the Jaipur airport to catch a flight to Udaipur. Upon arrival, move to your Hotel. After check-in formalities, leave for sightseeing where first attraction will be City palace, popular for its Peacock courtyard, beautiful rooms with ivory doors, mirrored walls, spacious marbled balconies, etc. 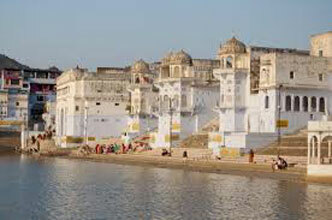 The evening is booked for a boat ride on Lake Pichola. 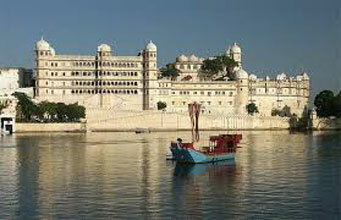 Another major attraction is a visit to the popular Jag Mandir Palace, an island palace built amidst lake. Here you are going to explore the Jagdish temple, an ancient temple that is 300 years old and the Royal Cenotaphs of the Rajputana rulers. Enjoy a special dinner at Durbar Hall or Taj Lake Palace. Stay overnight.